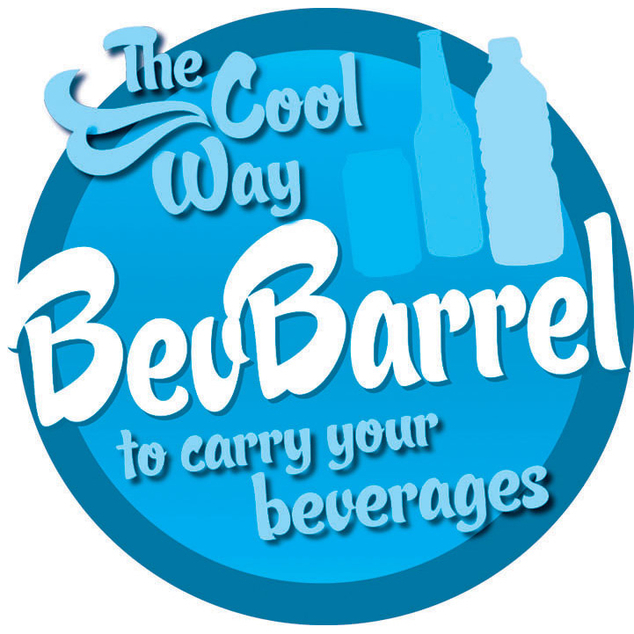 Carry beverages to parties and events with ease when you take along the BevBarrel. 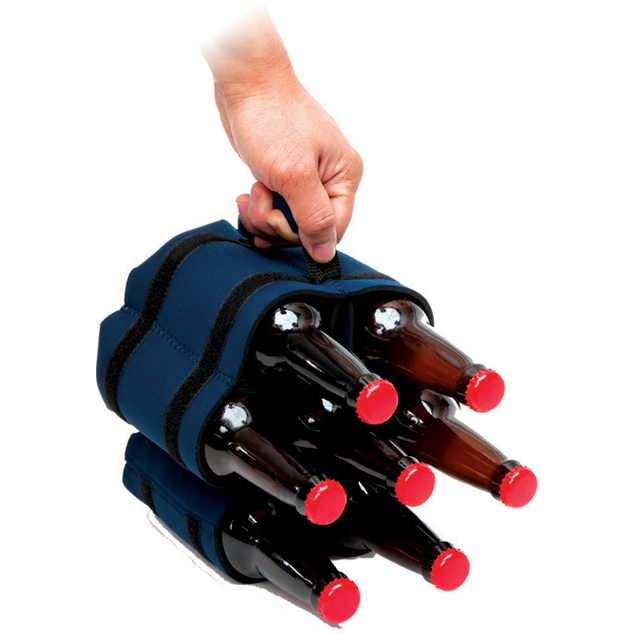 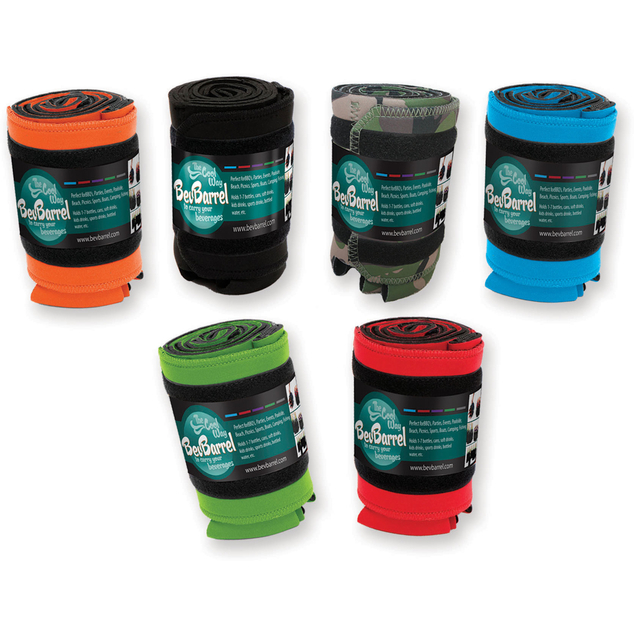 This handy neoprene holder fits up to 7 bottles or cans and has built-in drink holders. Simply add a frozen 16 oz. 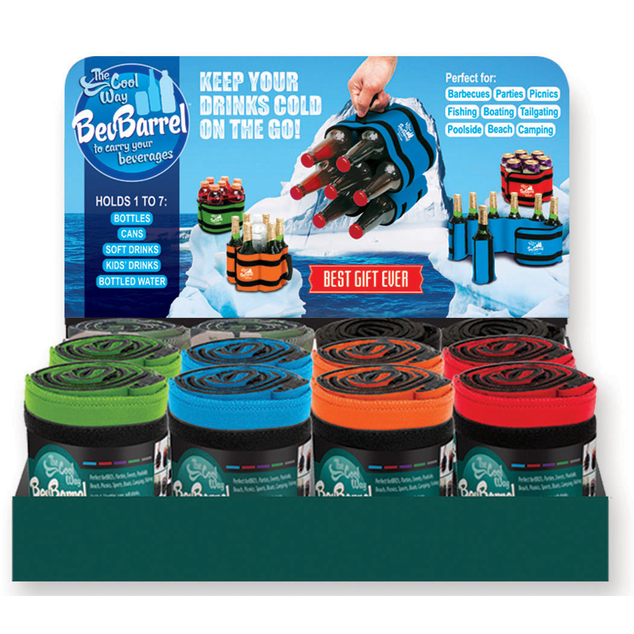 water bottle (not included) to keep drinks cool.